Jimmy Will was officially sworn in by Judge Linda Warner on March 14 to begin his term as Meigs County Commissioner. Will was recently appointed to fill the vacancy left by Mike Bartrum, who resigned at the end of February. 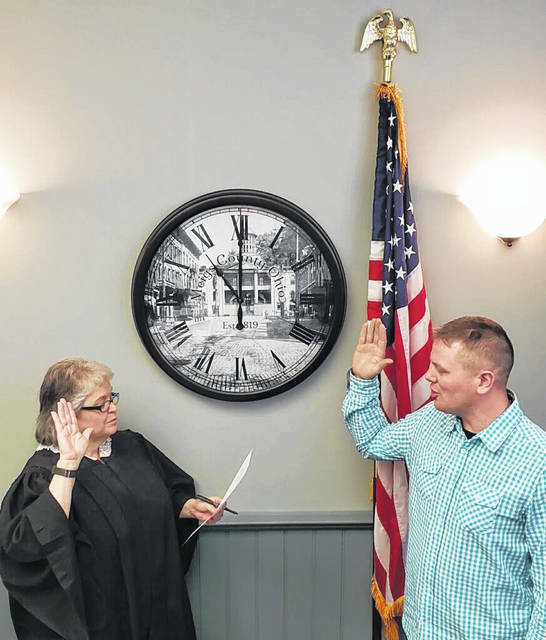 https://www.mydailysentinel.com/wp-content/uploads/sites/14/2019/03/web1_3.21-Commissioners-2_ne20193209519548.jpgJimmy Will was officially sworn in by Judge Linda Warner on March 14 to begin his term as Meigs County Commissioner. Will was recently appointed to fill the vacancy left by Mike Bartrum, who resigned at the end of February.